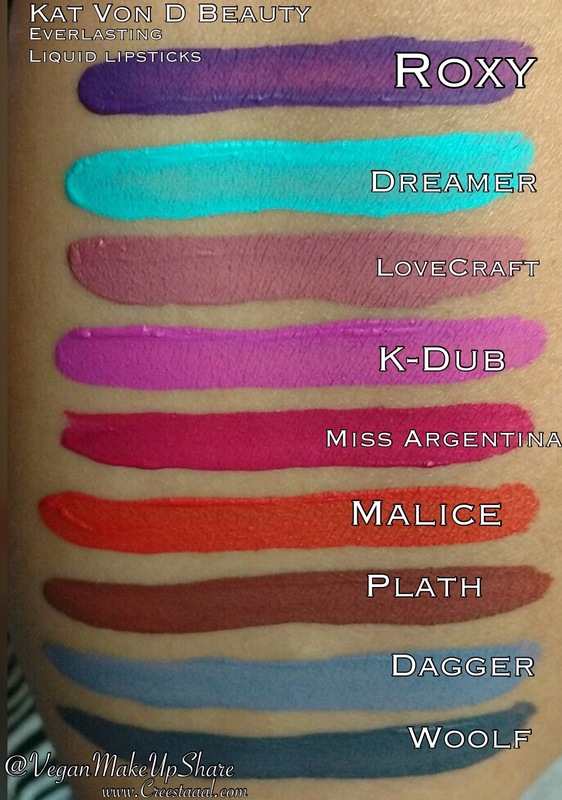 KVD Beauty is a 🐰 Cruelty-Free company with many 🌱 Vegan-Friendly products please check out prior KVD posts or click on the➡️ # VeganAlert tab on their website for full list of products! 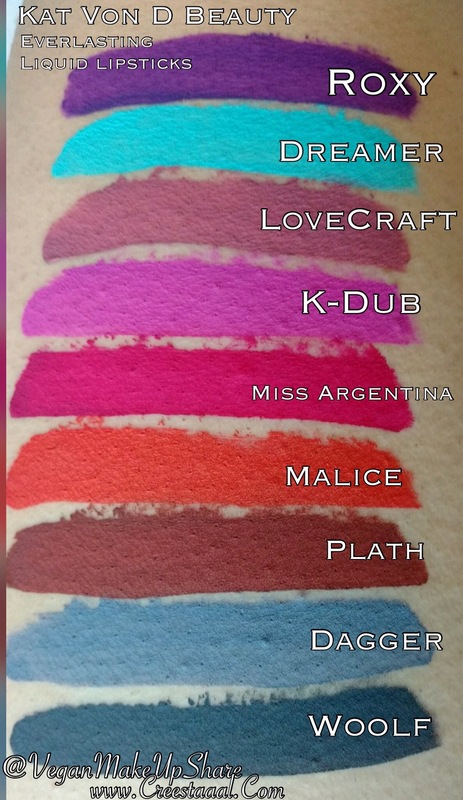 I hope these swatches are helpful. 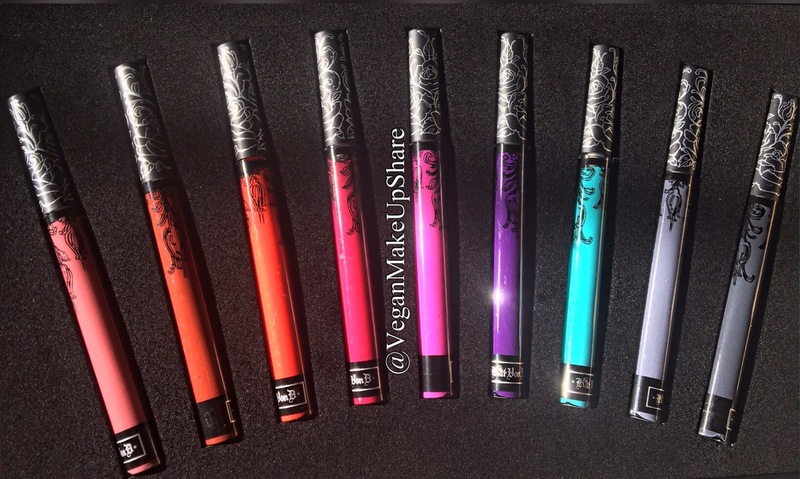 Posted on April 26, 2017, in Vegan Lifestyle Blogger, VeganmakeupShare and tagged Creestaaal, crueltyfree, Kat von d, Kat von d beauty, Katvondbeauty, vegan beauty, vegan cosmetics, vegan friendly, Vegan makeup, veganalert, VeganmakeupShare. Bookmark the permalink. Leave a comment.